Life is too short to have boring hair…but you can’t always get away with it at work. 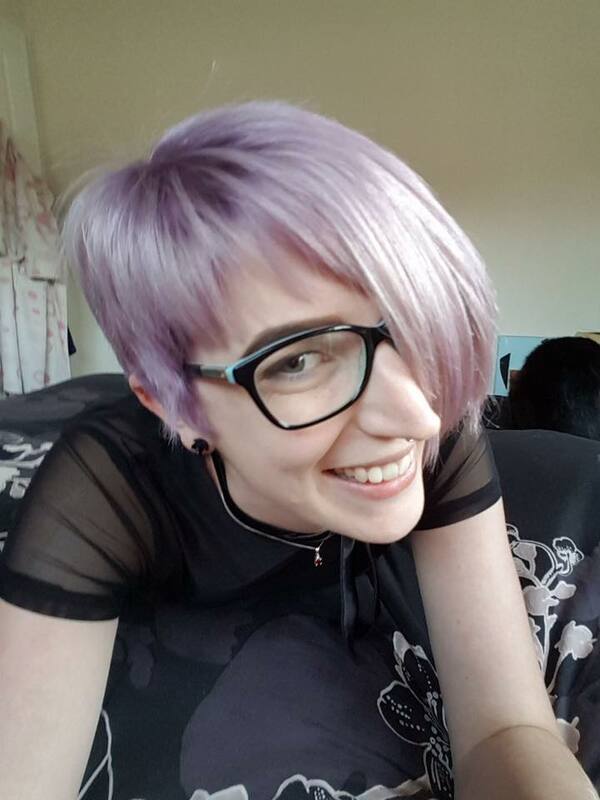 ‘Boring’ hair is subjective. 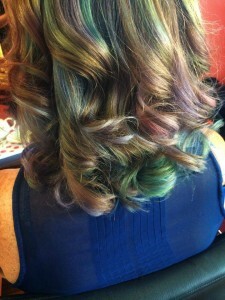 It doesn’t mean you have to have bright rainbow mermaid hair…it means having hair that YOU love! 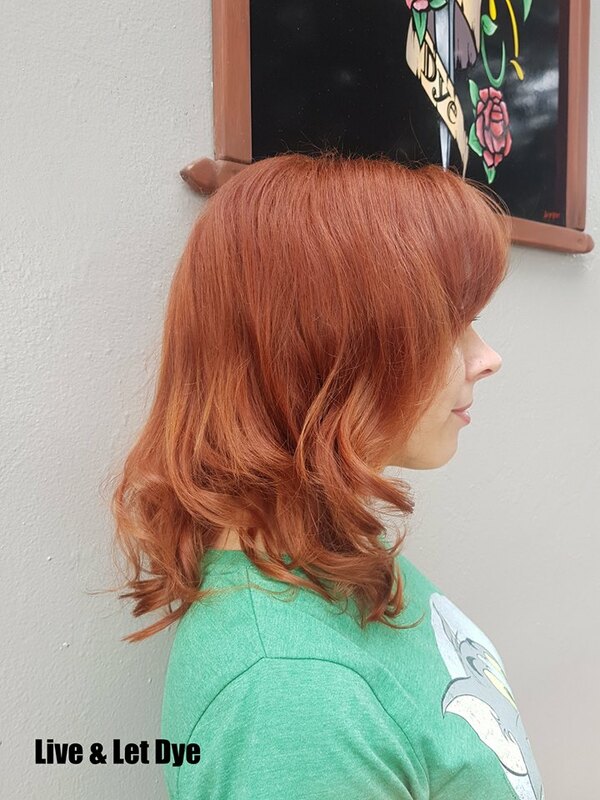 Whether it be a beautiful chocolate brown, luscious red or even your natural colour with a cut that makes you feel beautiful, make sure its something that’s you. But if you are wanting something creative or vivid and you are restricted as to how bright you can go, or you aren’t allowed those kind of colours in your workplace…there are always ways!! 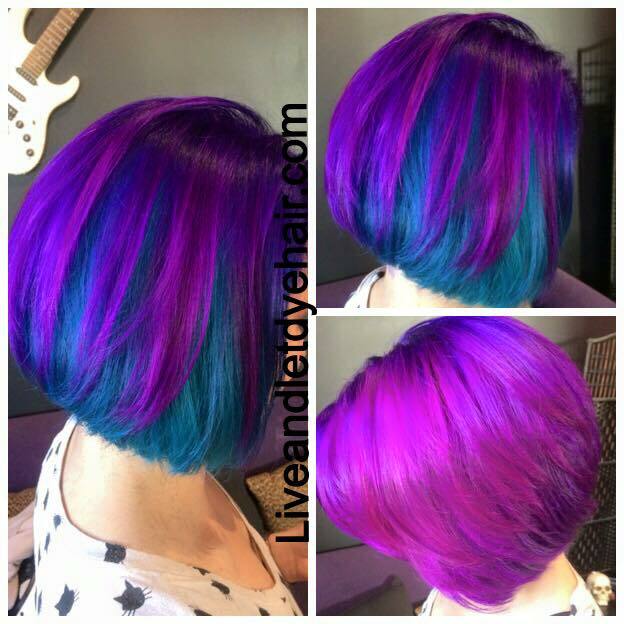 Of course there are the full on vivid colours and you can go all our like a bright, sparkly rainbow that everyone ooh’s and aah’s over on Pinterest…. Vivids are HIGH MAINTENANCE so you really have to use a good salon shampoo & conditioner – or that colour will be gone in a few washes…and that’s literally your money washing down the drain. 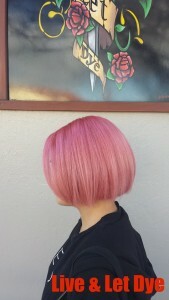 But you can still get awesome colours that are just as amazing and a little more subtle and ‘work friendly’ like PASTELS! Now, these colours are just as high maintenance as you’ll still require a full head bleaching. 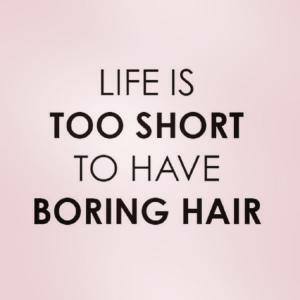 They require freshening up about once a month or so (depending on your hair). 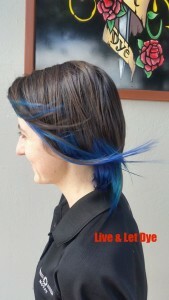 This is a great way to get a more ‘natural’ look that you may be able to get away with at work. 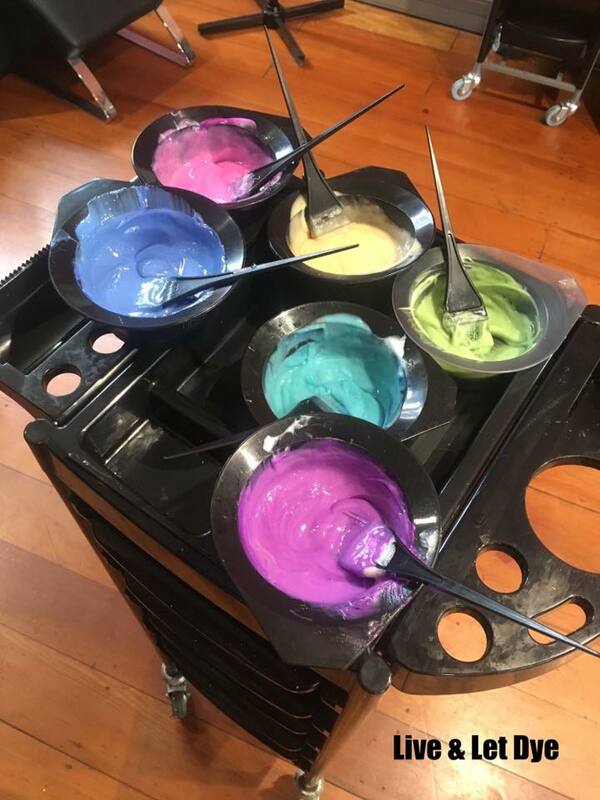 COLOUR POPS are great for adding some fun colour to your hair, with waaaaaay less maintenance and more subtlety than a full head of vivid colour. 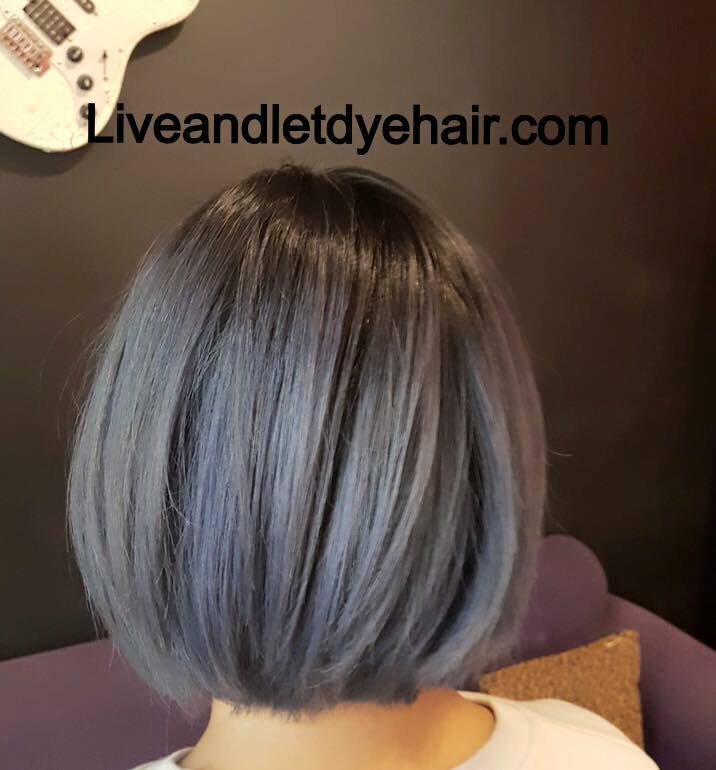 You can work with your natural hair as there is no need to colour the rest of your hair. It’s like adding highlights of colour, which means you don’t have to get your roots done – AND the colours we use fade out nicely to a pastel version of themselves or back to blonde (depending on the colours you choose). 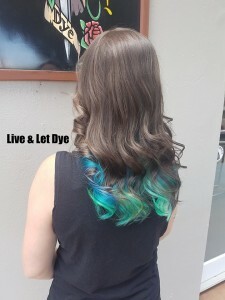 This means you aren’t left with nasty ‘pond scum’ colours once your colour pops have faded. 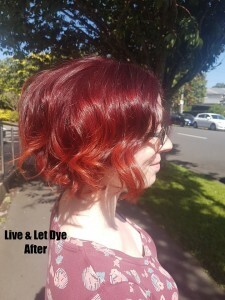 Ideal if you are wanting to try something out without the commitment. AND THEN there are the HIDDEN RAINBOWS!!! 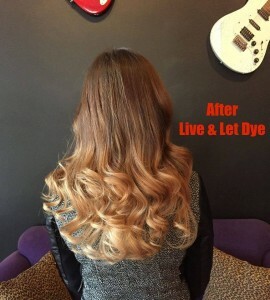 Made famous by the amazing London salon ‘Not Another Salon’ these colours can be completely hidden! 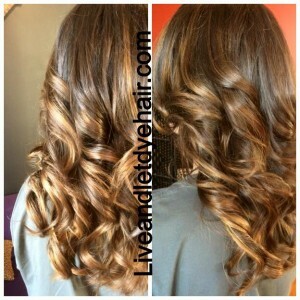 Either tie your hair up in a ponytail or bun or leave it down and your wild side is hidden underneath. 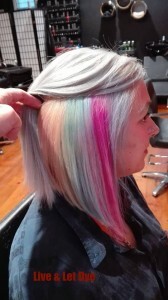 If you tie it half up or clip it back and the rainbow amazingness is revealed! 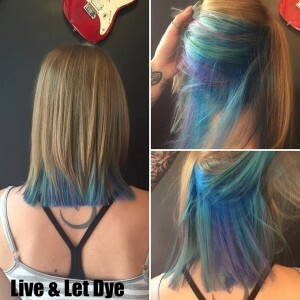 These awesome colours can be done by leaving the rest of your hair its natural colour OR by colouring/bleaching the rest to a colour of your choice. Ssshhhhh! You’re boss will never know! Of course you don’t NEED to go bright to be beautiful. 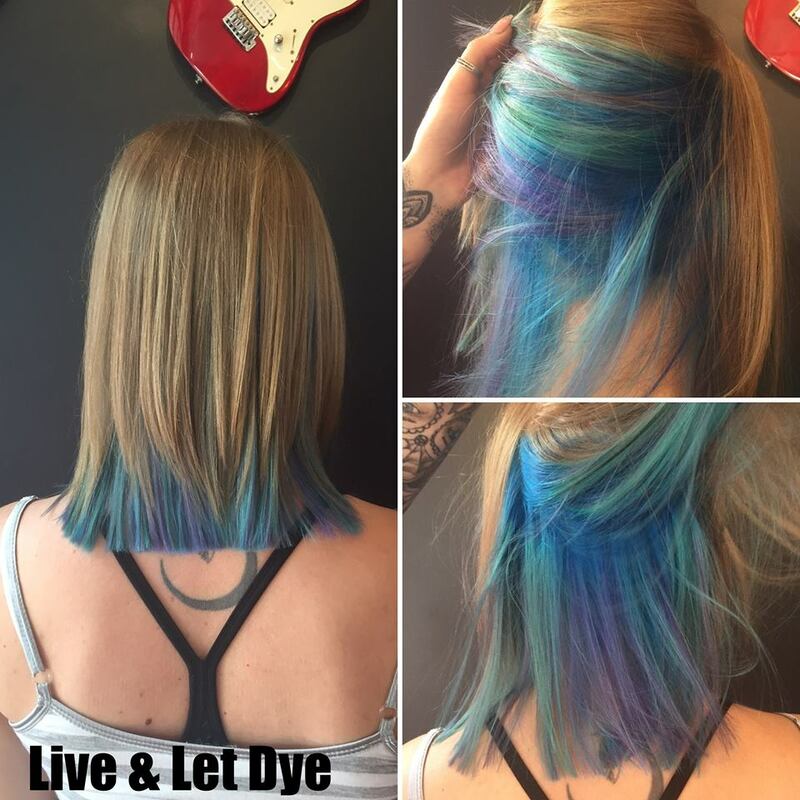 Here are some options of adding some lively colours to your hair while still keeping it a more ‘natural’ colour. Balayage is a great way of adding dimension to your hair but is really low maintenance as the colour doesn’t go right up to the roots. 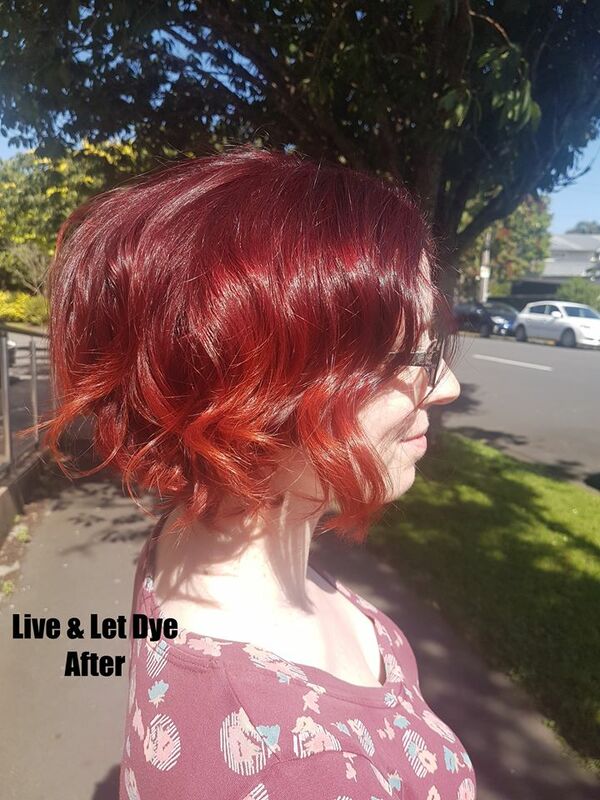 The colour can be any colour you like, from a warm blonde to a cool ash…or even brighter colour like red. 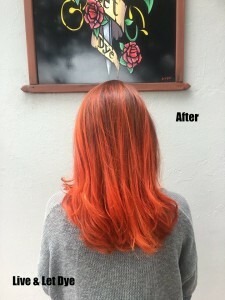 The roots are left either natural or dark so it grows out looking more natural, without the harsh line that’s made by highlights or full head bleaching, so it can be left for longer before retouching or left grow out completely without looking unkept. For some reason, reds and coppers are more accepted by employers even if they are brighter than natural. They can be a great way of getting away with a brighter colour at work as they are seen as a more natural colour, but they are just as awesome. 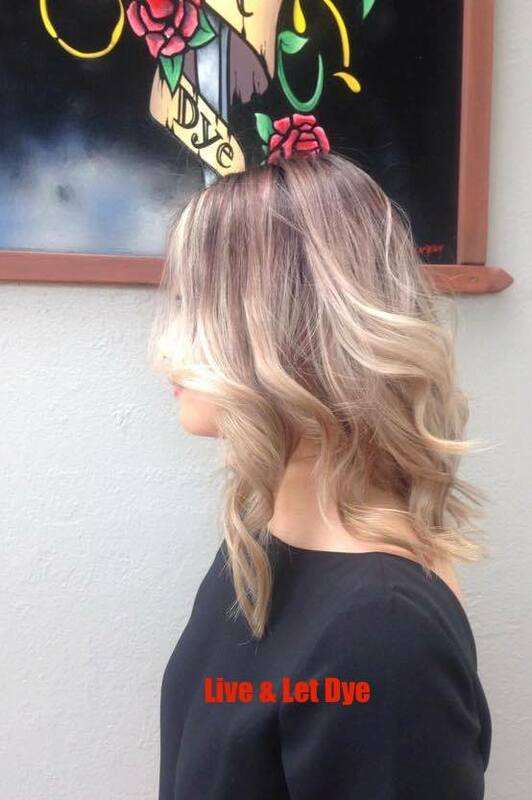 Well there you have a few ideas if you are stuck for a ‘work safe’ hair colour. Which one will you choose?